Welcome to the third and final part of the Council’s Future Dreams series, where we explore what we hope to happen legislatively by 2027, the Council’s 75th anniversary. Our goal is to have a continuum of care for people who are blind or visually impaired, with equity at every age and stage of life. This involves: (A) Expanding the criteria and certifications of professionals qualified to offer vision services who are eligible for BadgerCare billing. (B) Increasing funding for the Office for the Blind and Visually Impaired (OBVI) so they can better serve their clients. (C) Developing a residential training program for people who are blind or visually impaired in Wisconsin. Medicaid (known as BadgerCare in Wisconsin) covers care from an optometrist, ophthalmologist or occupational therapist. However, the services of low vision therapists, vision rehabilitation therapists and orientation and mobility specialists, who are professionals with specific training, skills to care for individuals with low vision, are not covered. While there are a small number of occupational therapists with low vision training, these are few and far between. If BadgerCare were expanded to cover services provided by these professionals, more people would be able to get the vision services they need. Of the nearly 800,000 Wisconsinites who were on BadgerCare in 2017, about one-fifth of them were people considered to have disabilities or be elderly. This is a population that has vision needs, but are unable to get those needs met since BadgerCare does not cover the cost of vision services visits. Expanding reimbursement options is especially important as the population ages. In Wisconsin in 2017, BadgerCare expenditures totaled more than $7.7 billion. If BadgerCare covered services by additional vision professionals, people who are blind or visually impaired would benefit. Benefits include reduced numbers of people in institutional care, fewer injuries and increased ability to obtain and sustain employment. The Office for the Blind and Visually Impaired is a state agency under the Department of Health and Human Services umbrella, which provides in-home training for people who are blind and visually impaired. The agency receives a federal grant under the Older Adults Independent Living Act, which helps to fund services to those age 55 and older. The state funds, through general purpose revenue (GPR), provide services to those who are age 54 and younger to acquire blindness and low vision skills in activities of daily living, such as cooking, dressing and personal hygiene, medication management, basic computer and assistive technology skills, way-finding and household management. OBVI clients are currently on a long waitlist due to staffing and funding shortages. Increased funding is needed for OBVI to keep up with the demand of the BVI population, which is expected to double by 2030. Wisconsin is among a few states that do not provide a residential training facility for people who are adjusting to blindness or visual impairment. A residential program would give people time to learn necessary skills to adapt to vision changes. adjusting to vision loss often triggers anxiety and depression. Concentrated time to learn skills, participate in guided practice and receive emotional support are vital to ensuring people who are BVI can live independently. People from the program would then have the skills necessary to obtain employment, travel and participate in their community safely. 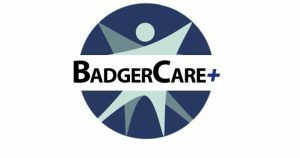 The Council is raising awareness about the need to cover vision rehabilitation services through BadgerCare Plus. The Council is requesting that $500,000 in GPR spending be allocated to OBVI. State funding is utilized to provide services for those under age 55, while federal funding is used to provide services for those age 55 and older. The Council is working to build understanding of the need for a residential training program through a preliminary study. a) Discuss the importance of BadgerCare Plus covering vision services with your legislator. Vision service providers who cannot currently bill to BadgerCare include: low vision therapists, vision rehabilitation therapists and orientation & mobility specialists. b) Call your own insurance company and find out how they cover vision-related services. Self-advocate within your insurance plan to cover additional providers like the ones mentioned above. c) Make sure you know where candidates and current representatives stand on healthcare issues. Wisconsin Governor Evers recently introduced his state budget request, which calls for BadgerCare/Medicaid expansion. Each of the changes presented in these legislative alerts cannot be achieved in a one-and-done process. Conversation, connection and relationships are the vehicles for change in our government. You can be a part of the conversation by attending the Council’s Legislative Day on Tuesday, April 9 at the Capitol Building in Madison. The morning session focus is on briefing the attendees on the Council’s legislative agenda, to build shared understanding and consistency in message, when talking with legislators. It is also an opportunity to meet and converse with assembly and senate leadership and the governor’s office. After lunch, The Council, along with Michael Blumenfeld, our Legislative Liaison, will support attendees in suggesting strategies for having a meaningful and productive conversation with their legislators. All attendees will receive the Council’s legislative agenda in advance of Legislative Day to help you prepare your talking points. You will meet with a legislator from your area. We recommend that you focus on one or two of the talking points, and share a brief story about how an issue impacts you personally. Focus on having a conversation: share your stories, listen attentively and be present during the meeting. 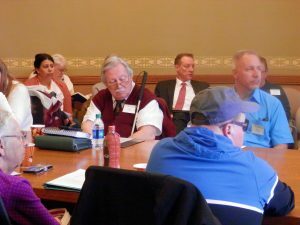 Sign up for Legislative Day by calling Adam Grassnickle, Council Program Assistant, at (608) 237-8120 or emailing agrassnickle@WCBlind.org. Adam will need your complete mailing address, including zip code to verify your legislators. The registration deadline to ensure a visit with your assembly representative and senator is Monday, March 25. Registrations will be accepted after that date, but you may not get a legislative visit with your representatives. The fee for registration is $10 per person, which primarily covers lunch, beverages and snacks.